Supporting learning and skills development in universities, colleges and schools. Our simulations improve financial and business understanding, give a real-world context to maths learning, and test students’ key skills under the demands of time-pressure and competition. 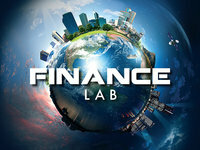 Finance Lab Professional’s experiential approach to investing delivers an authentic collaborative learning experience and is a valuable resource for Business Schools. The dual-screen simulation brings together the roles of Investment Analyst and Media Analyst, capturing the unique dynamics of financial markets trading. The combination of risk-taking, strategic thinking, competition and time-pressure delivers an engaging and challenging educational and skills development experience. The simulation supports undergraduate-level teaching in Finance-related courses and modules, and enrichment and outreach activities. Investors trade in multi-national companies on a global equity market, responding to breaking news and fast-changing price and market data. The simulation facilitates technical analysis by offering players the option to place buy and sell limit orders. This order data is made available to all investors, facilitating price discovery and enabling investors to assess the potential demand in the market. The option to short sell enhances the realism of the investing experience, allowing traders to act in advance on negative news and to hedge the downside risk of a long position. A unique combination of stories is generated for each game from an extensive news database. Prices are affected by these news stories and by the volume of trades made by investors. This variability of both price data and news content ensures that the simulation can be repeated with different outcomes. Our Experiential Learning Workshop simulates the experience of managing a fund on behalf of a client. Working in teams, students take on the role of investment managers trading on a global equity market, developing and adapting trading strategies in response to business news, company information and market data. In the second part of the workshop the teams design and deliver a digital or poster presentation to their client on the performance of their fund and the strategies they deployed. Lecturers or local companies can be invited to mentor the teams and sit on the presentation judging panel. The simulation delivers both sides of the investing process - research and trading – in one immersive, dual-screen simulation. Players work together on two linked screens in the roles of Investment Analyst and Media Analyst in a simulated dealing room, testing and developing their skills in a time-pressured environment. Teams compete to increase the value of their fund by trading in company shares and commodities, navigating the fluctuations of global equity and commodity markets. The listed multinational companies are based in different parts of the world, with each operating in a different sector of the economy. Cotton, oil and wheat are also traded on the market. This fast-moving and exciting business game tests many of the skills necessary for working life, including team-working, problem-solving and critical thinking. Each team's investment decisions will be based on both the analysis of market data and the interpretation of news stories. Players need to think on their feet and respond quickly to new information in order to profit from the potential impact on prices. Prices are affected both by the impact of investors’ decisions and information in the news. Students need to assess whether a story about a particular company, commodity or sector will have a positive or negative effect on market confidence and prices. The simulation supports Business Studies, Economics and Applied Maths teaching. Students learn the language of the financial markets and the business media, how equity and commodity markets function, the concept of shares and investments, the effect of supply and demand on markets and the impact of news and information on share prices. All the game data can be extracted for analysis to allow the application of economic principles and mathematical methods in a range of contexts. to learn responsibly, work with others and participate in projects and tasks. Dealing Room is designed to make finance and investing accessible for younger students. Its experiential approach enables students to test their Maths ability in a real-world setting, and develop their key skills under the pressure of competition. Students, working in teams, invest in 10 companies based on information they receive from text and video news feeds. The aim of the game is to maximise the value of the team's starting fund and achieve consistently good investment returns. The two aspects of the trading process - researching and investing - are brought together in one simulated game environment. The role of Investment Analyst tests numeracy and financial maths, while the Media Analyst’s analysis of the news requires good literacy and comprehension skills. Research the market, anticipate price changes, interpret market data and manage your fund. The dynamic, responsive elements of the game make for a genuinely interactive experience, and provide an opportunity for students to apply and develop their maths and business skills. Prices are affected both by the information in the news and by the players' investment decisions. As players navigate the fluctuations of the market, they must work together as a team with the objective of increasing the value of their fund. Request a demo account and evaluate the simulations.